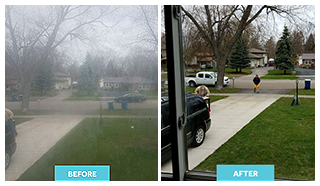 Serving the suburbs of Chicago since 1980, we repair and replace the glass in your windows so that you can see clearly —without the time, cost, structural work, and permits associated with replacing your entire window. We know that no two houses are alike. That's why we want you to have options that are best for your home and family. Low-E glass reduces fading on furniture and hardwood floors by preventing UV rays from entering the home. It can also lower your air conditioning and heating bills to keep your home cooler in the summer and warmer in the winter. Tempered glass is an excellent option in the home. This glass maximizes safety in the event of broken glass, and is also stronger than other glasses. Glazing is the act of furnishing or fitting with glass and the business or work of a glazier. Glazing also refers to panes or sheets of glass set or made to be set in frames, as in windows, doors, or mirrors. 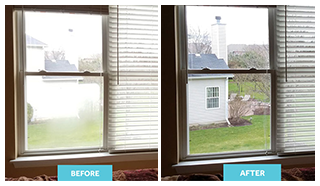 When you are looking for glass replacement or repair that lasts; our insulated glass units come with a 20-year manufacturer's warranty against seal failure and manufacturing defects. You can rest assured that your investment will last season after season, year after year.